Green is the color of Guinea's coastal region. With good soils and abundant rain, this region is suited for the production of the country's staple, rice, as are the banks of the Niger and Milo Rivers and the forest region in the southeast. When the late president Lansana Conte -- who liked to see himself as a soldierfarmer -- was in power, national television used to broadcast propaganda films extolling his qualities as a producer of rice. At the same time the country could not feed itself and was importing hundreds of thousands of tonnes of its staple. It still is; in 2013 Guinea imported 300,000 tonnes of rice to feed its people. From the interior to the coast, modern railways cut across the green landscape. Freight trains transport 20 million tonnes of red earth from big mining sites at Sangaredi and Kindia to the seaports of Conakry and Kamsar. This is unprocessed bauxite, the raw material for aluminium. Guinea has the largest proven reserves in the world and it has been leaving the country in its raw form for almost half a century. There is a struggling factory at Fria, which produces a negligible amount of alumina, the first stage in the production chain that converts bauxite into aluminium. But Guinean bauxite has its greatest value added in Russia, Germany, Ukraine and the United States, among others. The same fate awaits Guinean iron ore, located in the deep forest region. Within the next few years it will start leaving the country, unprocessed, through the ports of Buchanan in Liberia and a new seaport, to be built south of the capital, at Benti. At the time that Conte engineered his last re-election in 2003, I had a conversation with an enterprising member of the presidential political party. He had an idea: the Kankan region, in the heart of the vast savannah that covers the north-eastern part of Guinea, had an abundance of mangos. So many, in fact, that most of the fruit would rot under the trees. 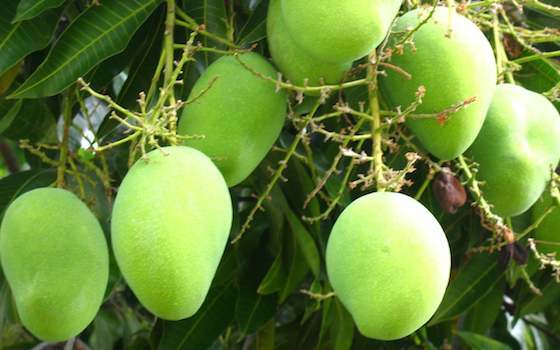 A mango juice factory would be an excellent investment opportunity, he argued. Less fruit would go to waste, the owners of the trees would see their income increase, youngsters would be employed in the factory -- and a few ambitious politicians would get their share. Would I be interested in getting investors for this venture? Having business ethics was likely to be an obstacle. These three examples point towards a profound mismatch between the two main economic sectors in the country: mining and agriculture. Mining, a capital-intensive industry, creates minimal employment for Guineans. My own research has come up with a figure of up to 15,000 in direct employment, with an additional 25,000 indirectly. This is negligible but the extractive industries have been at the heart of government concerns for four decades. Ahmed Sekou Toure, the first post-independence president who ruled until 1984, was full of anti-imperialist rhetoric but steered clear of interfering with the operations of Compagnie des Bauxites de Guinee, when it started exporting bauxite through Kamsar. The situation persisted throughout the Lansana Conte presidency (1984 to 2008) and beyond: representatives from the extractive industries had free and direct access to power at the highest level. By contrast, agriculture, the sector that can create employment on a massive scale has been ignored. Out of a total workforce of 4.5 million, fully 4 million are employed in subsistence farming, hunting and fishing. But their existence is precarious: lacking any stimulus to produce rice, they do not serve the domestic market. That job is done by rich and influential traders, who import rice from South East Asia. The result is a skewed and unsustainable economy that provides very few real jobs. Mining contributes 15 per cent of the gross domestic product but employs only a handful of people. By contrast, agriculture employs -- or should we say under-employs -- the bulk of the active population while contributing less than 20 per cent of GDP, the same figure as in 1997. Fully half of Guinea's GDP is accounted for by 'services', which could be anything from the extremely tiny formal banking sector to the country's vast and thriving informal economy. When Guinea held a presidential election in 2010, both candidates campaigned for a new start after decades of corrupt rule. The winner, Alpha Conde, a veteran politician who had spent decades opposing the previous regimes, and the losing candidate, Cellou Dalein Diallo, both put the economy at the top of their priorities: both wanted a strong and transparent mining sector; both wanted to put in place policies that would ensure food self-sufficiency; and both knew that for this to become a reality, a lot of effort needed to go into building, restoring or rebuilding Guinea's crumbling infrastructure. Roads are non-existent in some parts of the country and if farmers want to bring anything to market, they need reliable roads. Much has been made of the building of a 700-kilometre railway from the iron ore reserves at Simandou in deepest Guinee Forestiere to the coast, but even if this multibillion-dollar project is ever carried out, it is unlikely to be used for anything other than iron ore. The Conde government has been allocating more resources to support agriculture. This is encouraging, but more is needed to exploit the full potential. Guinea has more than 7 million hectares of arable land; less than a third is currently in production; figures that have not changed in the past two decades. Food crop production including rice, maize, cassava and fonio, a local millet-like variety, has begun to increase, but very slowly and from a low base. The Government is also looking at commercial agriculture: cotton, coffee, cocoa and palm oil are mostly dormant but can be revived. Mixed ventures, such as fruit, peanut and vegetable cultivation are also under consideration. In addition, some extra stimulus will further improve two areas that have been quite successful: cattle raising in the plains of the Fouta Djalon in Middle Guinea and the kola nut industry in Guinee Forestiere. A well-run agriculture sector will help solve Guinea's unemployment in ways the mining sector cannot. The majority of people, young and old, still live in rural areas or smaller towns in the interior. Those who have moved to the capital, Conakry, have found it next to impossible to find jobs. Very little study has been conducted to gain any insight into Guinea's labour market but evidence suggests that the mining sector overwhelmingly hires unskilled labour locally and fills higher level positions with expatriate staff. Thanks to five decades of bad government (under Sekou Toure, schools were indoctrination centres, and afterwards they were just neglected) education is the worst of the region and does not deliver the skills to gain access to what little formal employment there is. The only way the economy can be made to deliver better employment on a significant scale -- and quickly -- is by developing agriculture. A productive agriculture sector with good access to markets would reduce the cost of living. Food accounts for more than half of every family's budget, mainly because rice is imported. A 50kg bag of imported rice takes away at least half of an average salary. Locally produced food will be cheaper. It requires breaking the stranglehold of well-connected businessmen but this really is a small price to pay for a government keen to create a situation in which everybody else -- producers, consumers, the underemployed or jobless, the government, the travelling public -- will win. Resistance to creating a thriving agricultural sector can be dealt with in a time-honoured way, by offering politicians and politically connected traders lucrative alternatives. One example could be the business tycoon and former Conte protege Mamadou Sylla, one among several former regime supporters that the new President has brought over to his side. Sylla made part of his fortune from importing rice. If he needs to forgo one source of profit, it should not be difficult to offer another, for instance connected to government plans to add value to Guinea's agricultural output by creating 'units of transformation'. Say, a mango juice factory.